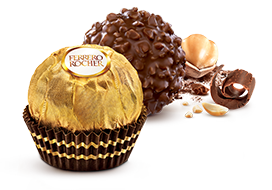 A refined gallery of confectionery masterpieces expertly crafted by Ferrero. 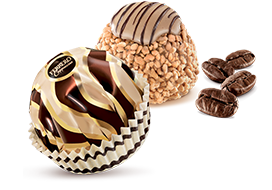 An assortment of exclusive recipes, a series of unique and irresistible flavors. The gift that makes every occasion feel special. 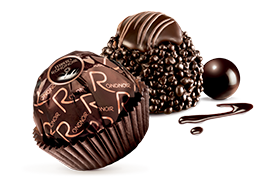 A delicious combination of tastes and textures from fine wafer and rich velvety cocoa filling to a dark chocolate covered hazelnut at its heart. 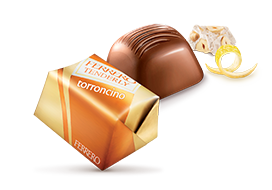 A crunchy specialty with a velvety hazelnut cream filling; a sweet prelude to the unmistakable taste of almond. 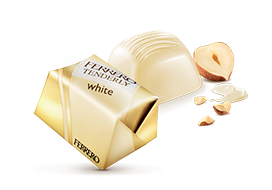 A creamy, luscious filling combining the intense flavor of coffee and the delicate taste of milk. 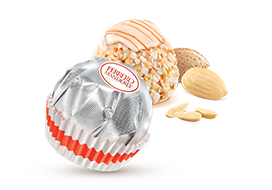 A surprising delight encased within a crunchy shell.